Sponsorship includes: one foursome, company sign on all golf carts, verbal recognition at event, and website logo placement. Sponsorship includes: one foursome, signage at lunch, verbal recognition at lunch, and website logo placement. Sponsorship includes: one foursome, signage on beverage carts, verbal recognition at event, and website logo placement. Sponsorship includes: Individual Golfer, opportunity to have tent on putting contest green, opportunity to provide giveaways for golfers, prize for contest, verbal recognition at event and signage on course. Breakfast Contest Sponsorship includes: one foursome, signage at breakfast, verbal recognition at breakfast, and website logo placement. Driving Range Sponsorship includes: one foursome, company banner at driving range, verbal recognition at event, and website logo placement. Sponsorship includes: one foursome, professionally produced hole sign displayed on tee, verbal recognition at tournament, and website placement. One player will participate in the 2019 Crohn's & Colitis Classic and be placed with three other golfers. Includes lunch, drinks, silent auction and raffle. Sponsorship includes: Professionally produced hole sign displayed on tee, verbal recognition at tournament, and website placement. I have read and agree to the Terms and Conditions and give my consent to Crohn's & Colitis Foundation - Rocky Mountain to process my personal data. I understand I can revoke this consent at any time. 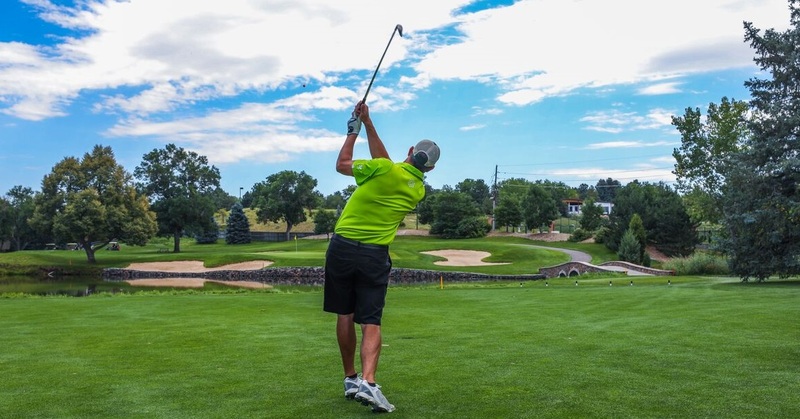 The 14th annual Crohn's & Colitis Golf Classic is taking place on Monday, August 12th, 2019. This event offers a great deal of fun and entertainment all on a beautiful, private golf course. Come join the Crohn's & Colitis Foundation as we share our mission, raise money and play some golf! Not a golfer? Stop by for lunch on the Pinehurst Country Club terrace and enjoy our guest speakers and silent auction. It is with your support that we will find cures for Crohn's disease and ulcerative colitis. The mission of the Crohn's & Colitis Foundation is to cure Crohn's disease and ulcerative colitis, and to improve the quality of life of children and adults affected by these diseases. Funds raised will support our vision of a future free from Crohn's disease and ulcerative colitis.